TTC Vertical Subway Poster | Digital Media Arts - Aamir R.
Designed as a TTC vertical subway poster. I based it off the Seneca winter 2012 ad campaign. 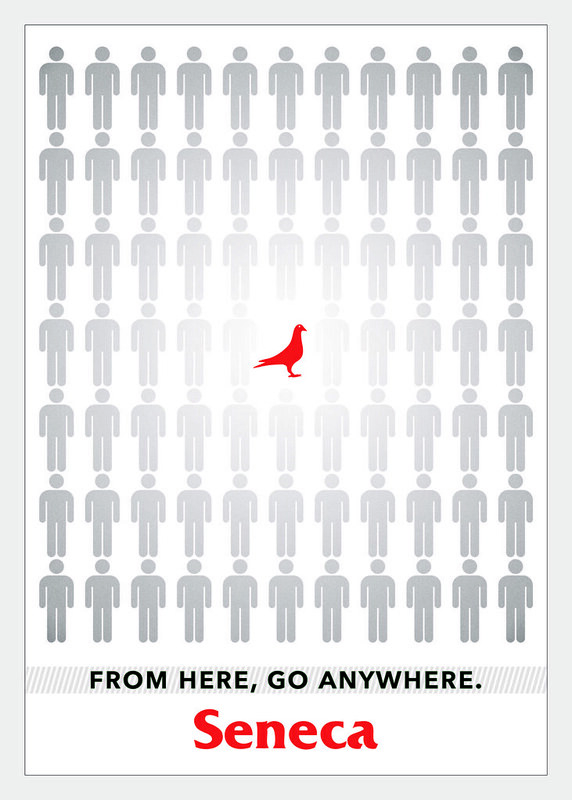 The people, pigeon and Seneca logo were vector elements brought in from Illustrator. Original poster size: 20×28 inches. Posted on July 27, 2012, in Photoshop / Illustrator / Print and tagged aamir, aamir raza, adobe, adobe illustrator, adobe photoshop, adobe photoshop cs5, arts, design, digital, digital media, digital media arts, dma, dma234, image, media, media arts, multi-media, multimedia, multimedia design, photoshop, photoshop cs5, seneca ttc ad, seneca ttc poster, ttc ad, ttc poster, ttc seneca campaign, ttc seneca poster, TTC subway, ttc subway ad, ttc subway poster, ttc subway vertical poster, ttc vertical poster. Bookmark the permalink. Leave a comment.